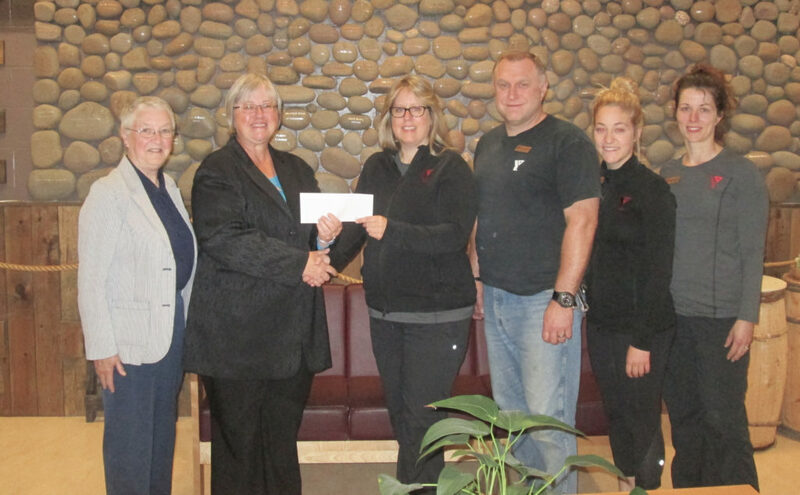 Annapolis West Health Foundation recently presented a cheque for $25,000 to the Fundy YMCA. The cheque is one installment of a series of donations made by the AWHF to support Fundy Y programs. Pictured left to right: Arlene Redmond Chair, Fundy YMCA/AWHF Partnership Committee; Karen Smith, Vice-Chair AWHF; Sharon MacAlpine, Centre Manager, Fundy YMCA; Richard Chapelhow, Facility Director, Fundy YMCA; Jesselyn Nesbitt, Youth Coordinator, Fundy YMCA; Amanda Peck, Membership and Program Director, Fundy YMCA.